For preschoolers, play is serious business! Before their school years, younger kids rely on play time to learn and develop mentally, physically, emotionally and socially. Designing a playground for preschoolers allows you to create a safe and enriching space for the future generation! ■ Engage: Children in the preschool years are still developing their attention spans, so playgrounds need to be exciting and interesting to keep their focus. Look for bright colors, multiple activities and a natural element to keep kids engaged. ■ Promote independent play and supervised play: Provide activities that allow for independent play and play with adult supervision. This combination will mean playground equipment should be designed with plenty of space around it so that caregivers and adults can step in to help. ■ Be inclusive: Young children develop at different speeds, so you need play equipment that can be used by both children who are advanced and those still developing gross and fine motor skills. 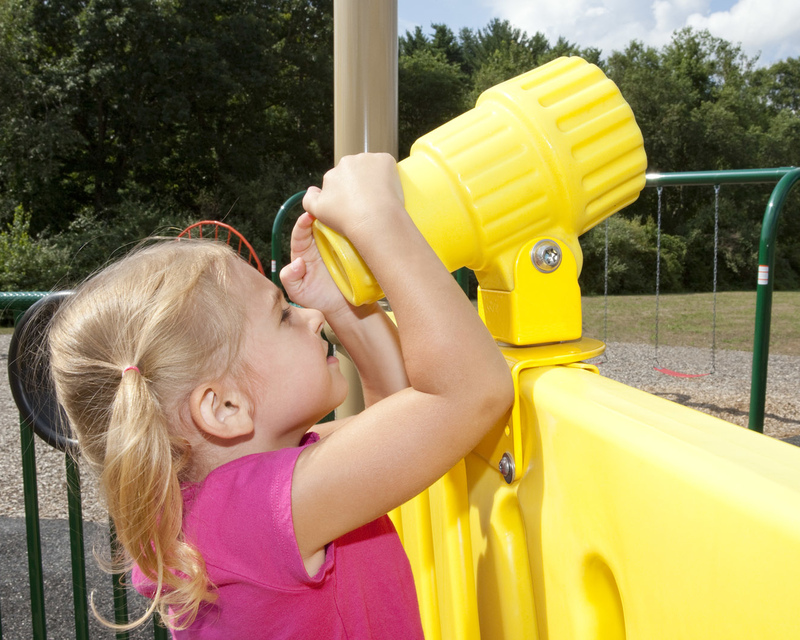 Look for play equipment that allows children to be helped along by caregivers if they need it. PlayPower Canada has a wide variety of play equipment for children of all abilities. ■ Lend development supports: Look for playground equipment designed to help children grow physically, emotionally, mentally and socially. Equipment that assists in building fine motor skills while also appealing to the senses and helping children play in groups while learning, for example, makes playtime more impactful. ■ Keep heights low: Buy equipment that’s designed specifically for younger children, and ensure there are no tall heights when it’s set up. ■ Look for play equipment designed for younger children: Playground slides, climbers, swings and other pieces designed for older children can be dangerous for toddlers. Always purchase playgrounds specifically designed for your age group. ■ Buy quality equipment: Purchase from quality manufacturers who have a track record of safety and create durable, quality pieces from non-toxic materials. PlayPower Canada carefully curates the best brands to help you design a safe play space, for example. If you’re ready to start creating your play area for little ones, contact PlayPower Canada to toss around some preschool playground design ideas and start putting together your custom playground.